Newsletters give you the opportunity to speak directly to your most dedicated fans, without paying for clicks or worrying about changing social media algorithms. You won’t find many more valuable tools for your shop than a well-run newsletter. Newsletters are as affordable as they are effective, and they should be one of the most important parts of your promotion plan for new products and announcements. We’ll lay out everything you need to know to get started, so let’s roll up our sleeves and get to work! Consider this if you’re on the fence: Email is more likely to lead to sales, it isn’t a fad like some social networks may prove to be, and it gives you ultimate control over the presentation of your work. Even if you haven’t seriously considered starting a newsletter before, it’s never too late. If you’re having a big sale or expecting a rush of traffic, it’s the perfect time to get some subscribers signed up. While there are many options out there, all with their own pros and cons, here are a few we’ve narrowed down as great for artists and creative business owners. We (either as a company or individually) have used all three recommended services, so they’re tried and tested. 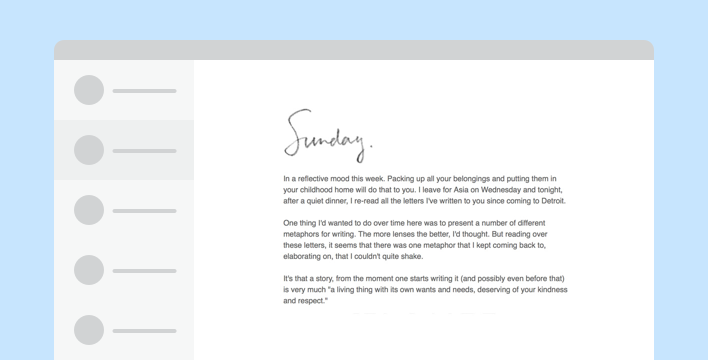 TinyLetter - Simple and straightforward, TinyLetter (owned by MailChimp) offers the perfect balance for people who want a robust email newsletter but don’t want to spend too much time messing with settings. And it’s completely free! If you expect more than 5,000 subscribers to your list, want to edit code, or need access to advanced integrations, you’ll want to go with something like MailChimp or Campaign Monitor. Mailchimp - There’s a reason you’ve heard of them. They offer everything from free services to high-end plans for popular email lists, and they do it with personality. You can get started in no time, or put a lot of effort into customizing it to fit your brand. If you’re just giving the newsletter thing a try, the amount of options may be a bit more than you need - you can always import your email list to Mailchimp down the road. Pro-tip: If you have a Big Cartel store, you can connect your Mailchimp newsletter to your shop. Campaign Monitor - With a little coding knowledge, you can make a newsletter that looks exactly like what you’ve envisioned in your head. The pricing is geared towards mid-sized mailing lists, so if your list is small or you’re looking for a free option, you’ll want to consider something else. But the analytics about who’s opening your emails and how they’re clicking are helpful and thorough. This one is easy in theory, but takes a lot of time to do right. You’ll need to get comfortable with a little self-promotion - it’s the only way people are going to learn about your newsletter. You should promote your newsletter in the days and hours leading up to the time you send a new message. Let people know they don’t want to miss out, and entice them with a special discount or exclusive treat if they sign up. Also consider including a note about your newsletter in every order you ship or sell in person. Let them know they’ll get early access to product announcements or a behind-the-scenes look at your process. 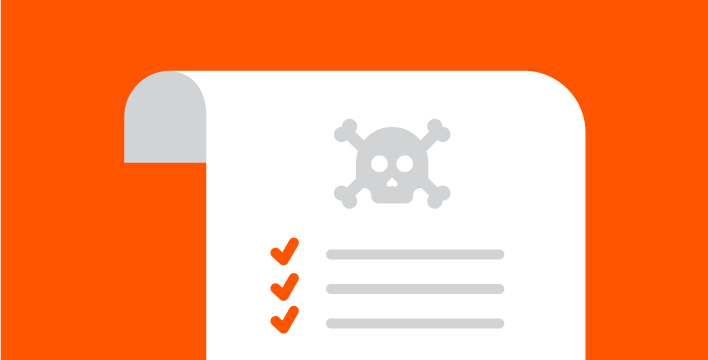 Whether you’re gathering emails at a craft booth or sifting through your order history online, make sure you have people’s permission before you sign them up. Unwanted email is spam, no matter how good your intentions. If you have the option, embed a signup box on your site, blog, or link directly to a signup form on social media. Unless you want to get fancy, you generally don’t need to know how to code - your newsletter service should have everything you need to copy and paste to add a signup box in a snap. However you decide to promote your newsletter, clearly show your customers what’s in it for them. Everyone loves deals. Behind the scenes looks are engaging. Being the first to know about new products before they’re available to the public makes subscribers feel special. A simple box with a signup button might fit your humble style, but without knowing what’s on the other end, customers may hesitate to give out their email. Tell them what they gain by signing up. A newsletter isn’t just a catalogue or list of links. It’s a direct line of communication between you and your customers, so don’t be afraid to add a personal touch. Share insights into your process, like the challenge of finding the right supplier for your apparel, or the research involved in writing your latest short story. Your brand is more than the name of your company or what you sell in your store - it’s every interaction your supporters have with your work. Give them a chance to invest in you as a person. Over time, they’ll become allies who can boost your signal so others can become invested as well. Keep in mind, not all of your shop’s visitors will buy something at first. That’s why it’s important to start building a relationship as early as possible. When you invite people to subscribe to a newsletter, you can establish a connection to keep them updated on your work, whether they’ve purchased something or not. Without a newsletter, you may never even know that those potential shoppers existed. Think hard about what those customers expect from your email. Did you entice them with special deals? Send a discount code. Promise a closer look at your process? Take lots of pictures. It’s always best to under-promise and over-deliver, so don’t make commitments you can’t keep. Above all else, always remember that being relevant, thoughtful, and generous will go a long way. Establishing your expertise on a topic isn’t to brag, it’s about branding. When someone thinks of high-quality pins or gallery-worthy paintings, you want your work to pop into their head. Don’t be afraid to blog about your process and experience, and then link to those blog posts alongside your product features. People love to get an inside look, and every story you tell helps reinforce your quality and value. Always start with the most important information. While your goal is to get readers to love the whole thing, if you send three links and they only click one, you want them to see what matters most. When you’re writing your newsletter, be honest about what you’re trying to promote, what readers will respond to, and whether or not a particular piece of information adds to the message. If you’re not much of a designer, you can hire someone to help customize a template or build a newsletter from scratch. Or just start by matching the colors and fonts from your shop, and be sure to upload a logo. People may see your newsletter more often than they visit your shop, so reinforcing your branding is key. Before you send a newsletter, preview it on desktop and mobile. That beautiful description you just wrote on your laptop? It might not look quite right due to space constraints on your phone. Use a tool like Browserstack to see what it looks like on other devices so you can keep your presentation on point. Ever wondered how your customers are reading their email? More and more frequently, it’s happening on a mobile device. Don’t spend too much time on complicated graphics. Instead, focus on creating simple, good-looking messages that adapt well to all device sizes. 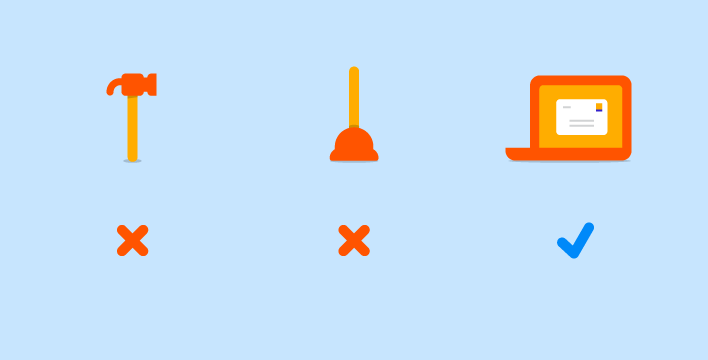 For more style tips, check out Mailchimp’s Email Design Guide. Email is an important marketing tool, but it’s also a way to get tuned out. Remember these best practices to avoid getting sent to trash. You’d never share your customers’ emails with anyone else, right? That’s the quickest way to get in big trouble. Treat their privacy as you would your own. Be upfront about what’s in your newsletter and how often your emails will show up in your subscribers’ inboxes. Most people want to hear from you once a month, but many are comfortable with emails as frequently as once a week. Whatever the case, don’t overdo it. Too many emails will cause them to tune out and unsubscribe, not sending enough will lead to them forgetting who you are. Find your sweet spot and stick with it. And, yes, you’ll want to make it easy to unsubscribe, too. You don’t want your customers to have their final newsletter experience be a hassle. You can gently suggest that they follow you on a different social network, if they simply want to reduce email clutter - but take it easy at this stage. If they leave with a positive experience, they could always come back in the future. What’s a successful newsletter to you? A healthy perspective on what success looks like - and what you can reasonably accomplish - will go a long way to staying motivated. Just 10 extra sales a month from your newsletter should make it worth putting in a couple hours of work each week. And it’s important to note that 1,000 engaged newsletter readers could be far more valuable than 5,000 followers on a social network, so consider that when allocating your workday. With that in mind, it’s never too early to start thinking about some numbers. Getting a lot of people to sign up is only half the battle - you want them to actually open your email and click on links for it to be effective. Bounce rate - Sending a lot of emails that can’t be delivered? That’s not good. A high bounce rate can cause your newsletter to be automatically marked as spam by email providers. Delivery rate - This is connected to bounce rate, and helps you understand how many messages are making it to people’s inboxes. Click-through rate - Are people clicking your links? If not, brainstorm ideas to increase interest. Think about what you’d want to see in a good newsletter, and then figure out how you can do that. Once those numbers are in a healthy spot, try to grow your list using ideas and methods from above. Test different subject lines, offer special discounts, send early announcements of sales, and more to incentivize sign ups and reward those already on your list. Watch the data to see what improves or hurts your newsletter’s effectiveness, and don’t be shy about adjusting what’s not working. These are all great lessons, but it’s also really helpful to observe how some of the best are doing it, so you can pick up ideas and remix their approach into something that’s your own. 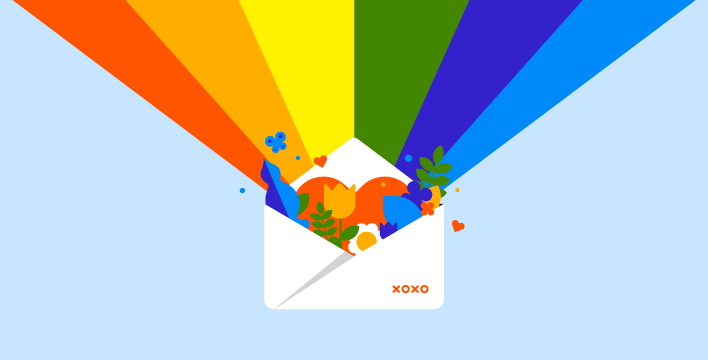 If you’re looking for newsletters done right, we heartily recommend the following. Jack Cheng’s Sunday - Jack, a novelist, writes about writing and his view of the world around him. It’s the perfect quiet moment of reflection each week, and you can bet he’ll let you know when his next book is available. Death to the Stock Photo - They send beautiful, high-resolution photos for you to use in your creative projects for free. It’s as good as it sounds. Hallie Bateman’s Pen Parade - Hallie is a writer and illustrator who brings her talents to life in a fun and unique newsletter. She reviews pens - yes, pens - by illustrating and writing a newsletter with the pen she’s reviewing. It’s the perfect way for her to connect with her audience, and goes to show that giving people what they like is just as important as pitching your work. Although it’s an infrequent newsletter, it’s always a treat when it hits your inbox. 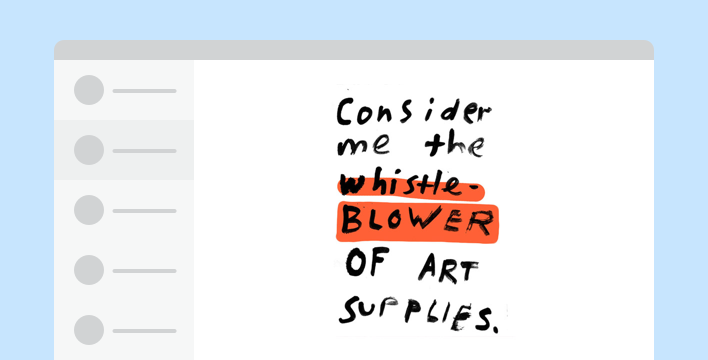 Austin Kleon’s Weekly Newsletter - Austin, author of Steal Like An Artist and Show York Work, opens with a picture of his recent work, follows it up with his favorite links of the week, and closes with info on where to buy his books. Take some time to research tools and pick the right one for you. Show your customers what’s in it for them. Know who you’re emailing and what they expect from you. Don’t spam or do shady things with their email. Crunch some numbers so you can see what’s working. Campaign Monitor’s The Modern Guidebook to Email Marketing is a handy resource to keep nearby. Mailchimp’s Email Marketing Field Guide goes into detail on each and every one of these topics with case studies and and helpful resources. Mailchimp’s Email Design Guide is just what the doctor ordered if you’re looking to improve your design skills. Buffer offers strategies to grow a massive email list. HubSpot gets down to business on how to run a newsletter people will read.